I contributed an article to the VOICES section of Governing. The article highlights how citizens are bypassing local governments to solve problems within their communities. Local governments are facing new realities. Citizens' trust in government has declined, and financial constraints do not allow local governments to deliver all of the services their communities would like. In response, citizens are changing as well. Increasingly, local residents and organizations are seizing opportunities to engage with their communities in their own ways by creating platforms that bypass government. Read More. I have an article published in the current issue of FCW: The Business of Federal Technology on petascale IT projects. Good news: We no longer have to talk about megascale IT projects. Large-scale ventures that typically cost $1 billion or more, megaprojects used to be all the rage, but they are quickly being superseded by petascale IT initiatives. Those projects can cost even more, involve complexity on a truly massive scale and require petaflops of computer processing. 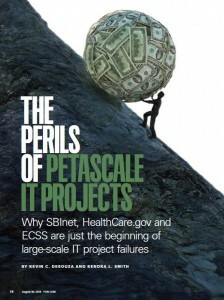 Despite the horrendous track record of delivering on even moderately complex IT projects, public-sector CIOs continue to embrace the design, planning and execution of petascale IT projects. To read more, please click here. To view the article in the digital edition of the magazine, please click here. Rashmi Krishnamurthy and I will be presenting on Challenge.gov at the Collective Intelligence 2014 Conference at MIT next week. You might also find my paper on Challenge.gov, with Ines Mergel, in Public Administration Review of interest. Kena Fedorschak, Srivatsav Kandala, Rashmi Krishnamurthy, and I won the Herbert A. Simon Best Paper Award at the Ninth International Conference on Design Science Research in Information Systems and Technology. The paper, Data Analytics and Human Trafficking, highlights our efforts toward building IT solutions to combat human trafficking at the ASU Decision Theater. To read more about paper, please click here. Kena Fedorschak, Srivatsav Kandala, Rashmi Krishnamurthy, and I have a paper accepted at the Ninth International Conference on Design Science Research in Information Systems and Technology. The paper, Data Analytics and Human Trafficking, highlights our efforts toward building IT solutions to combat human trafficking at the ASU Decision Theater. Human trafficking is recognized internationally as an extreme form of violence against women, children, and men. Despite the fact that human trafficking is universally understood to be a burgeoning social problem, a paucity of data and insight into this issue exists. Data analytics has immense potential to elucidate trends in complex social data and inform future policy. We undertook a design science-inspired research approach to build datasets on human trafficking. Three prototypes are presented that describe the methodologies of human traffickers, display correlations between calls reporting suspected trafficking activity and various demographic data, and explicate the effectiveness of US anti-trafficking funding projects. 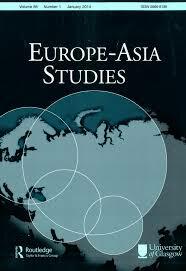 Volodymyr Lysenko (University of Washington) and I have a paper accepted in Europe-Asia Studies. Information and communication technology (ICT)-enabled revolutionary tactics play an important role in uprisings against non-democratic regimes worldwide. Up to now, a critical understanding of how authorities in those countries employ ICT-based counter-revolutionary measures has been missing. In this paper we examine the evolution of ICT-based counterrevolutionary tactics employed by one of the most ingrained authoritarian regimes—that of Belarus—through the last decade (2001-2010). The political opposition’s responses to the authorities’ countermeasures are also investigated, followed by an analysis of the co-evolution of these opponents’ ICT-related tactics. We suggest that use of ICT (by both sides) was not among the main factors leading to Belarus’ failed colour revolution. Rather, factors such as miscalculations on the side of the opposition; effective preemption by authorities; collaboration with foreign regimes by the authorities; and harsh physically oppressive measures by the authorities played the main part. Based on these conclusions, implications for the general theoretical framework of political cyberprotest in the former USSR are discussed. Finally, practical suggestions for the improvement of dissenters’ use of ICT during major political cyberprotest are provided. I recently authored an article for Planetizen. 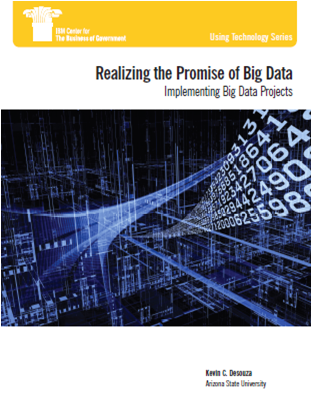 Realizing the Promise of Big Data: Implementing Big Data Projects was published today by the IBM Center for the Business of Government. In the next few years, nearly all public agencies will grapple with how to integrate their disparate data sources, build analytical capacities, and move toward a data-driven decision-making environment. Big data is increasing in importance for public agencies, and big data programs are expected to become more prominent in the near future. 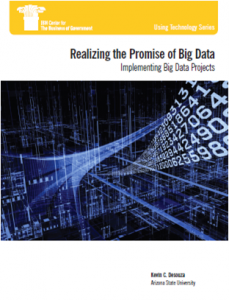 Through the use of big data, analytics now holds great promise for increasing the efficiency of operations, mitigating risks, and increasing citizen engagement and public value. This is my second report published by the IBM Center for the Business of Government. To read my previous report on Challenge.Gov: Using Competitions and Awards to Spur Innovation, please click here. I am thrilled to be invited back to address the Advanced Practices Council (APC) of the Society for Information Management. The APC commissioned a research report on mobile app development in highly regulated industries. Over the last few months, I have collaborated with Paul Simon (CEO of iHear Network and my former graduate student at the University of Washington) on this research report.The presentation will take place on Jan 22, 2014 at the Intercontinental Buckhead in Atlanta, Georgia. Mobile computing has the potential to be as disruptive to the status quo as the introduction of the modern Internet in the 1990s or the Model T was nearly 100 years ago. Organizations need to not only understand the risks of mobile computing, but develop strategies to incorporate it before it fatally disrupts their current business model. 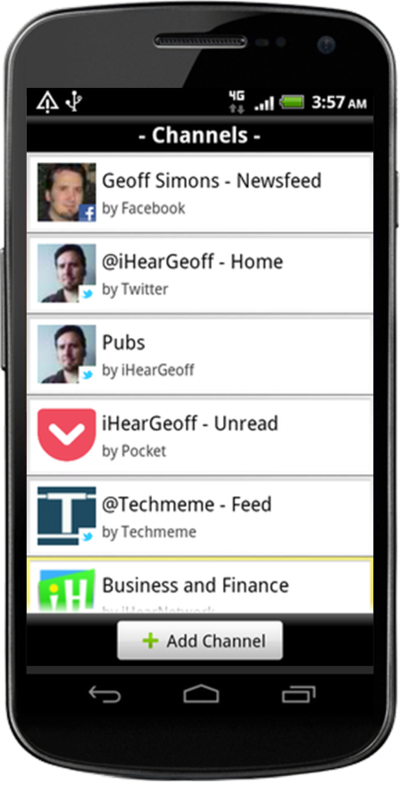 Some of the rewards of a well thought out mobile strategy include increasing revenues or new revenue streams, greater brand awareness and customer loyalty, and a new set of tools to increase employee productivity. Firms in highly regulated industries face an even more complex set of challenges when considering how to approach the mobile space. Highly regulated industries have additional constraints for developing mobile software because of the additional layer(s) of regulation that dictate the protection and communication of information. It is important for these businesses to implement comprehensive security solutions that go beyond standard industry regulatory systems. Since regulations always lag behind technological advancement, organizations should think more proactively about how their actions might trigger future legislative responses and how their actions impact the user’s expectations of privacy and trust. Although there are risks associated with an organization’s increased use of mobile devices, the rewards that could flow from developing, implementing, and continuously iterating upon a coherent mobile strategy are enormous. In a Pew Research Center study, 63% of adult cell phone owners use their cell phone to go online, 34% said they do most of their internet browsing on their mobile phone. It would be detrimental to the long-term viability of an organization to ignore such trends. Traditional linear modes of developing strategy will not be sufficient or flexible enough to keep up with the rate of innovation in mobile hardware, software, and mobile operating systems. Design thinking has grown beyond just a methodology for developing software products and experiences and now a growing amount of managers are using design thinking as a means of developing business strategy. This non-linear mode of strategy development is better suited for building a mobile strategy as it will provide greater insight into the needs and desires of end users, foster innovative and creative solutions, and provide greater flexibility to adapt to the changing circumstances caused by the disruptive forces of the mobile revolution. This enables the Chief Information Officer (CIO) to provide greater leadership that leads to both internal and external innovative opportunities for mobile strategy development.